Happy Solstice! 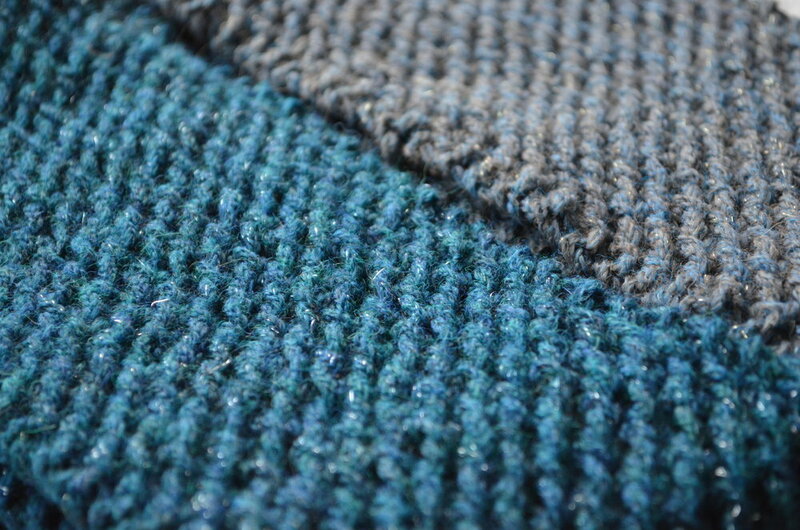 Here are close up shots of the Swarthmore Twill pattern that I used to weave hand towels. I used 8/2 cotton by Maurice Brassard for both the warp and the weft. I like this cotton because it is easy to work with while weaving and allows for the towels to be easily machine washed and dried. I think I would have picked colors that contrast more on the first, but I tend to like bolder colors. 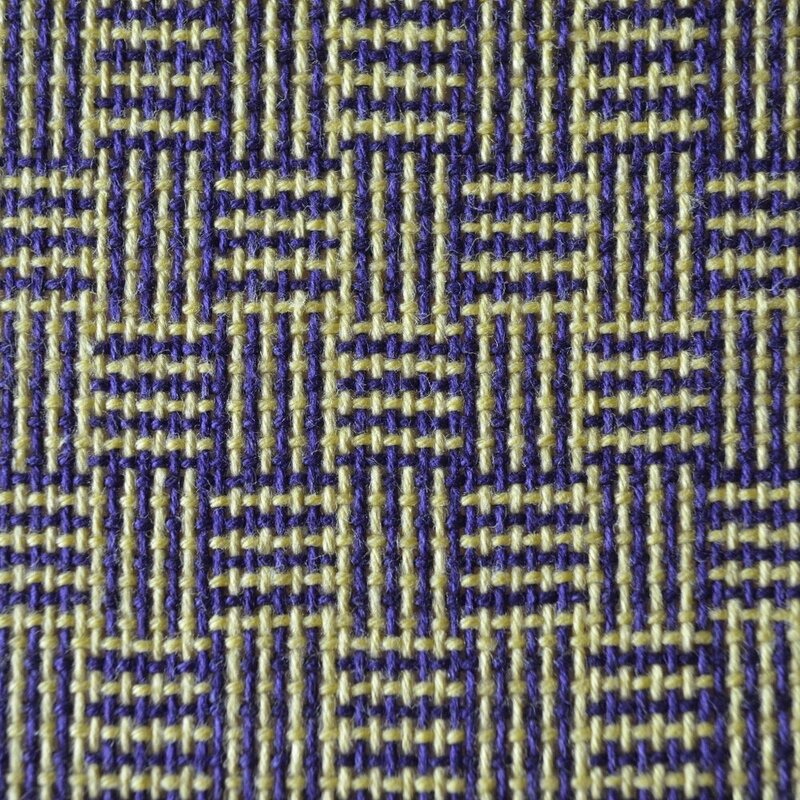 Swarthmore Twill can be found on page 30 of the green Davison book. The first pattern (pictured above) is variation I, the second is variation III (pictured below). This was a fairly straight forward weave. The only complication is that variation 3 has 28 picks in the repeat! There is nothing hard about that other than that I messed up a few times when I had to feed the cats or answer the phone. I learned my lesson the hard way and ended up taking pictures of where I was at if I had to walk away without completing the repeat. The back of variation III is in the photo at the top. 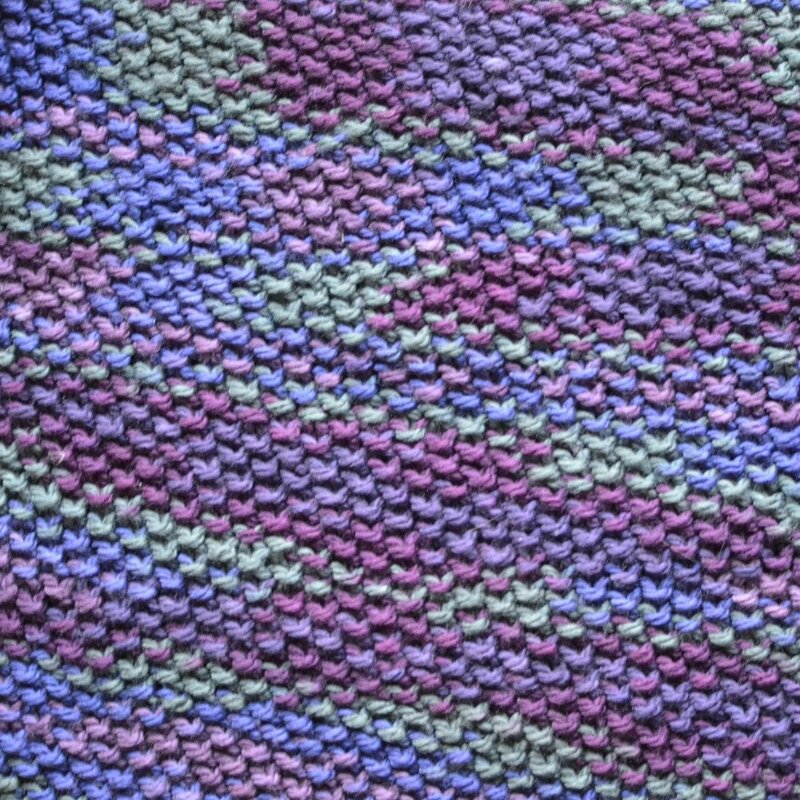 This variation is a warp faced weave and it turns out lovely. Warp faced means that the warp (the strands of yarn that go around the loom) is the dominant part when the piece is woven. If you are in the northern hemisphere, get outside and enjoy the longest day of the year. If you are in the southern hemisphere, I wish warmer weather for you soon!